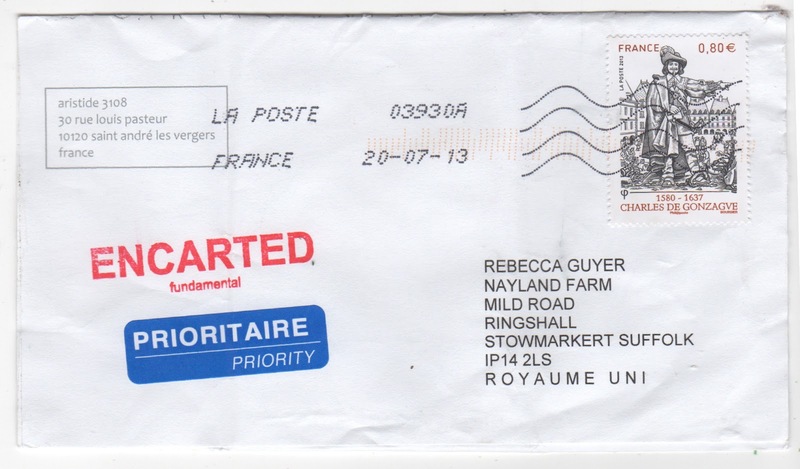 The Postal Ledger: overwhelmed by this ENCARTED Eden - Aristide includes me in another mailing! overwhelmed by this ENCARTED Eden - Aristide includes me in another mailing! Aristide thinks about every inch of a mailing. When I received this one (my second!) I turned the envelope over in my hands delighting in the way the encarted pouch made a depression in exactly the centre of the envelope. The text and the stamp on the front feel like a considered pen and ink. On the back I find faintly flowing bodies, entangled. Like the best teacher, Aristide is introducing me slowly to the subject, letting me make associations, heightening my interest, hinting at what is to come. 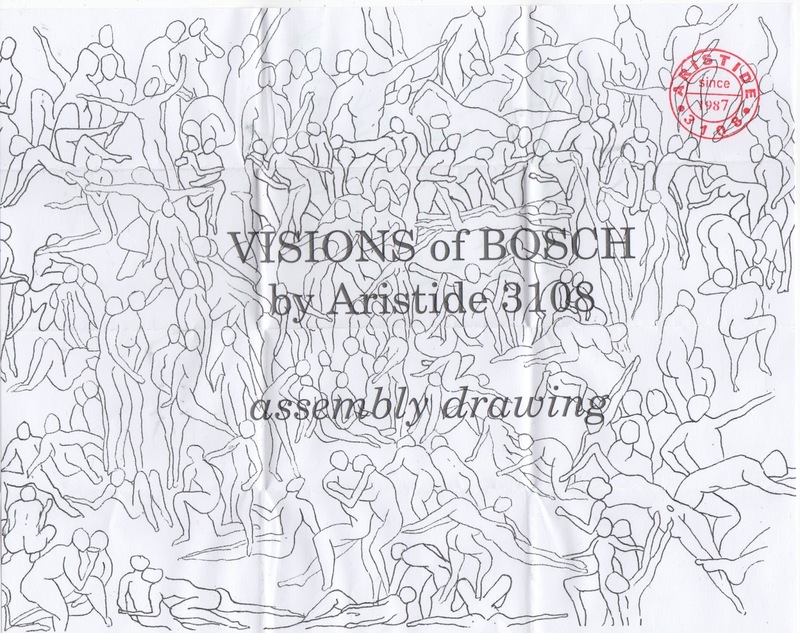 The ENCARTED envelope is wrapped in Aristide's assembly drawing. This is not only a new layer, it is another version, precisely related to the envelope. Aristide's style is inherent in every line. I know nothing about Aristide beyond the work I've received and the work I've seen on other sites, but it is clear that the ENCARTED (ENCARDTED) work blends the visual and words in a way that I find it difficult to say, a painter, a designer, a writer. It is all blended as though each is the language of choice. It was difficult to decide how to show the little treasures of a card that fitted comfortably into the ENCARDTED envelope, so I matched mine to the main, helping me to imagine the other pieces that Aristide posted alongside mine. It is beautiful to feel and to read visually. 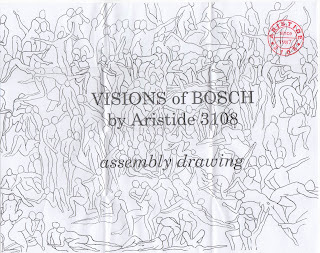 Aristide 3108 hopes to receive my best mailart. Of course I will respond, but it may take a while to respond with something so considered and layered with perfection! I'm not sure how to respond when asked "And you, are you encarted?" 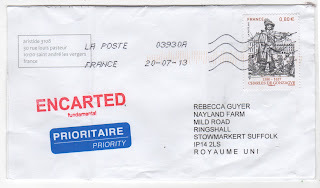 Perhaps it's a word I am not familiar with... but I will take it mean overwhelmed by the mailing, and if so, yes I am. Thank you.